If you want to to sincerely deliver the most precise and pure roast possible to your customers then you are going to need a very special roaster. The unique Sivetz fluidized bed air roaster provides the most precise and consistent roast possible. The purpose of a roaster is to roast quality beans to a precisely specified roast. Most beautique roasters simply can not deliver an exact roast level with a drum roaster. Each bean is going to come into contact with the scorching drum surface differently. Air roasting is the only way to ensure each bean is roasted to exactly the specified roast level and the Sivetz fluidized-bed air roaster does this best. Air roasting creates a pure aromatic roast. Most drum roasters today introduce hot air into their roast chamber, then the beans tumble and touch the hot surfaces to roast, like clothing in a clothes dryer. The Sivetz system levitates the beans on a fluidized bed of hot air, keeping the beans moving and not scorching on hot surfaces. The sole use of hot air greatly increases the rate of heat transference to the beans, creating a cleaner, more aromatic roast free of bitter tasting tars. 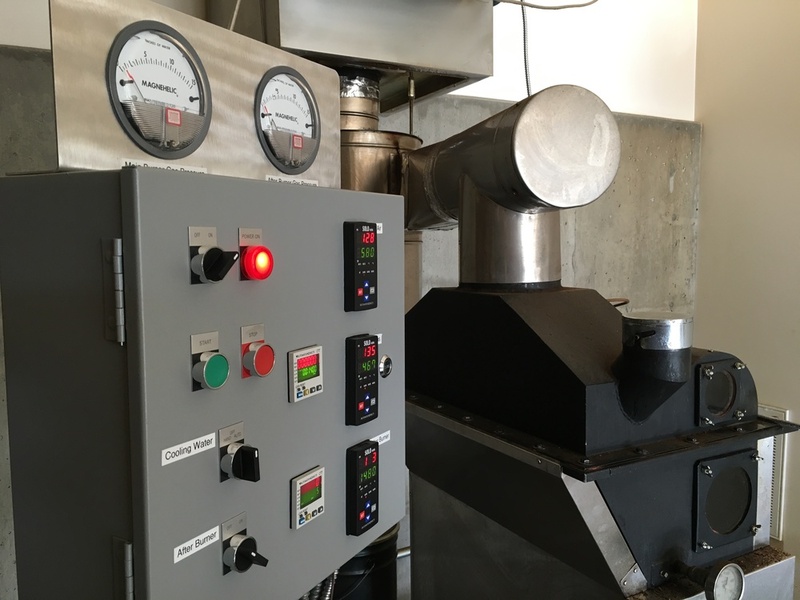 The Sivetz Fluidized-Bed Air Roaster provides the finest roast because of it's ability to roast uniformly; Degree of roast thermocouple; efficient heat transference; bean turbulence cleaning debris from bean surface; and shortened roast time.